This recipe book is full of the BEST recipes. No fluff or filler. When I began searching for recipes for this cookbook I contacted my friends and family and asked for their best recipes. The ones their family loves, the ones their Grandma made, what they ask their Mama's to make. I wanted recipes that when you take it to a party, you bring home an empty dish. They will ask for seconds. They will become your best and favorite. Goodbye Pinterest at dinner time, just come here. There are roughly 171 recipes in this cookbook. Cakes, pies, Main Course, Sides, Appetizers, Cookies and old home remedies from my dear friend Millie. 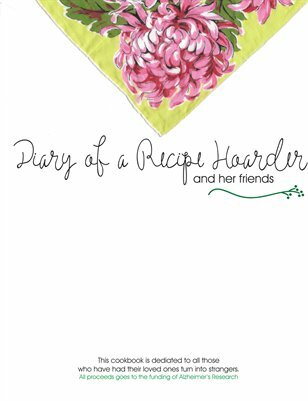 This cookbook is dedicated to all those who have had their loved ones turn into strangers. All proceeds go to Alzheimer's Research and hopefully someday, a cure. This cookbook is dedicated to all those who have had their loved ones turn into strangers. All proceeds go to Alzheimer's Research and hopefully someday, a cure.